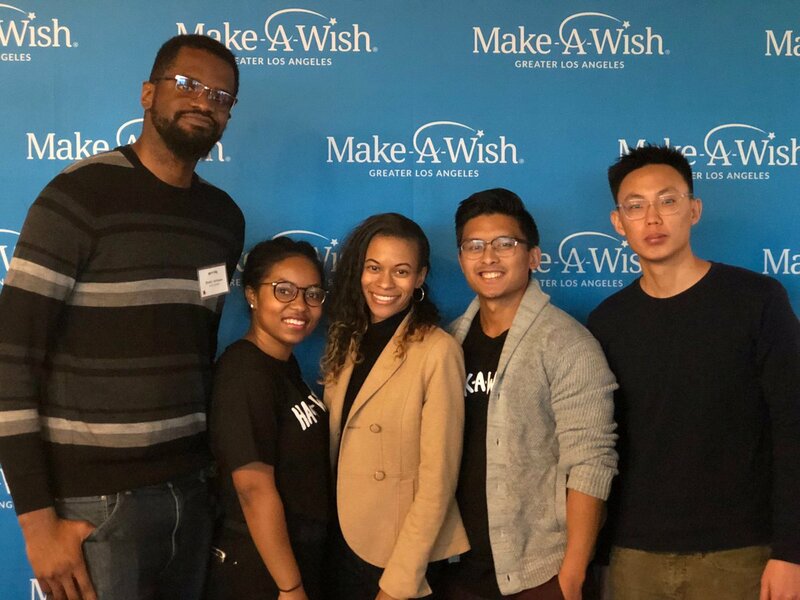 Team Genie won the the first Hack-A-Wish hackathon over the weekend, hosted at Dollar Shave Club’s offices, in partnership with the Make-A-Wish LA. The weekend included a Kick-Off, Challenge Day, and Demo Day. 6 teams have apps ready to implement. Raised $3090 for Make-A-Wish in ticket sales. 79 hackers on Saturday coding all day with developers, designers, marketers, educators, students, & product managers. 16 teams demo their solution. Team Genie consists of five Southern California natives: Shakir Johnson, Yoon Lee, Bernard Maling, Tulani Watkins, and Gabrielle Wilson, that met during the Hack-a-Wish Kick-off by way of serendipity. Genie is a ‘Change for Change’ application that uses everyday purchases and makes them everyday donations in order to give MAW additional revenue. Genie is focused on providing convenience and impact for MAW-LA and in future phases will work as a portal to support the volunteer goals and operational flow for the foundation. Members of team Genie interests consists of philanthropy, health and fitness, business, web development and a true passion of executing their ideas; as the majority of the team have started their own businesses. For more information please contact Team Genie at MAWGenie@Gmail.com.